Curved waist dress. Made in Los Angeles. When Adele Tetangco and Alnea Farahbella came together to launch their own label last year, they thought fondly of Princess Diana and her iconic style. 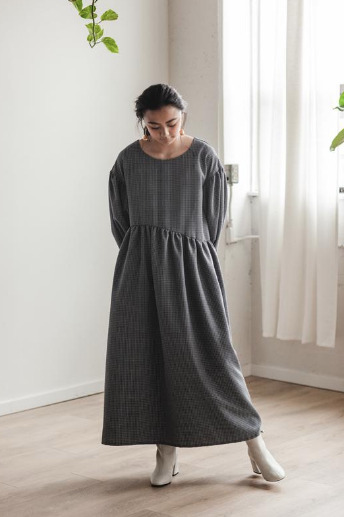 Tetangco, founder of the e-commerce site Garmentory, and Farahbella, designer behind the label Toit Volant, wanted to pay homage to Diana’s legacy as a woman who could wear the most casual clothes with the most confidence. 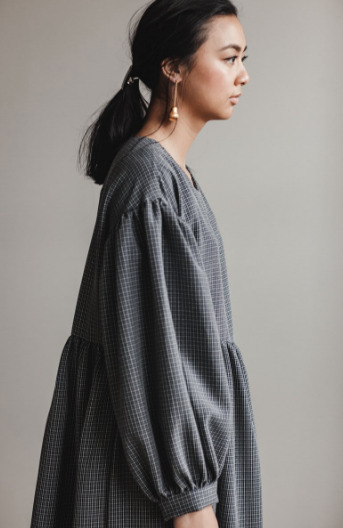 Tigre et Tigre is named for their favorite animal and their shared feisty nature and is a collection of accessible ready-to-wear that is made sustainably in Los Angeles and draws on the notion of Princess Di’s brand of effortless cool.